Windows 7 Ultimate – usage review from India | Globonomics! Let’s come back to some basic items that I feel have improved. 1. Usability – those annoying pop-up’s can be customized. The general look and feel of Windows 7 is much better with improved desktop navigation – everything seems to ‘just work’. ex: the search function works like spotlight on my Mac. The multiple Windows can be minimized and you can go back to the desktop by the Aero peek and Aero shake features of Windows 7. Alt+Tab is still there which is similar to Expose of Mac. It uses soothing colors on desktop and overall. The “snipping tool” is similar to “grab” on my Mac. Windows Media etc. are better. IE8 is the Internet Explorer version but I use only Mozilla Firefox as my default browser. Basically, I can get onto the Internet faster – which is one of the primary objectives of Google Chrome OS. 2. Performance – The boot-up time has reduced, once you defrag the PC, it’s response time is much faster, the system generally packs a punch. The peripheral devices such as printers etc. need to be configured separately. I have a F2120 HP deskjet All in one printer and this one required a custom installation from HP’s website. I had to do a little bit of tweaking here to get it to work but miraculously, after a couple of botched attempts, just as I was about to launch the HP executable as an administrator, Windows 7 magically started saying it’s searching for drivers and did the install. I test printed a page and test scanned it. The solution center etc. and console for the printer/scanner/copier setup is much better than anything before. I have’nt tried the drive level bit-locker functionality but will give it a shot sometime later. Windows 7 backup also worked well to help me transfer my datafiles to my external Maxtor 500-GB hard drive. I had a little bit of trouble figuring out how to configure it but I again got my way around this using “Action Center”. But I must say that the Windows 7 backup utility has bugs. I even sent an email to Microsoft because the setup of backup the first time was cumbersome, once the first backup was done, it did not allow me to reschedule it at all – there were simply no entry points – it’s a definite bug. Moreover, some clicks on control panel, system log viewer and back to backup crashes explorer – this was repeatable. So, Windows 7 isn’t perfect by any means. They have a lot of work to do ahead. 3. GUI – aesthetics and GUI have taken a giant leap ahead with Windows 7 with the Aero shake, peek, magnifier, display customization and overall look n feel etc. 4. Pricing – Microsoft has used differential pricing to price Windows 7 at a much lower price point for the full version of Windows 7 in India. It is available for Rs. 11K (plus some free gifts from Microsoft as part of an offer) for Windows Ultimate. The same copy of Ultimate if purchased in US would have cost $320 – http://store.microsoft.com/microsoft/Windows-7-Ultimate/product/5A4B95F4. The boxed pack (FPP) comes with enough caveats to tell customers that this one is meant only for India and needs to be activated here. The other forms of OEM licensing come only with branded machines such as HP or DELL. 5. Prior to installation I read up the Microsoft license agreement for Windows 7. It says “one copy per computer” and goes onto to define a “computer” and then allows it to be installed on a maximum of a 2-processor computer. Further, it gives a whole load of caveats on myriad items including virtualization technology, Bit locker technology, and of course, it’s geographic activation limitations which I mentioned above. This is their old EULA in a different form! Overall, this is the closest anyone could have got to the “World’s most advanced OS – Mac OSX – Snow Leopard”. So far, they are equal on a head-head comparison on my reviews. 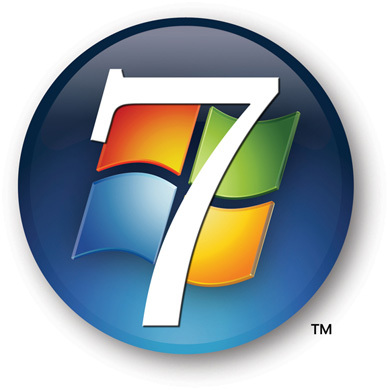 Windows 7 Ultimate – usage review from India .Thanks for nice post.I added to my twitter.